IAEA fact-finding team leader Mike Weightman visits the Fukushima Daiichi Nuclear Power Plant on 27 May 2011 to assess tsunami damage. Photo: Greg Webb / IAEA Imagebank via Flickr (CC BY-SA). Nevertheless, efforts are underway to repopulate stricken areas, particularly in Fukushima Prefecture. It’s a policy, and now a practice, of ‘normalizing’ radiation standards, to tell people that everything is alright, when clearly, there is no medical or scientific evidence to support this. 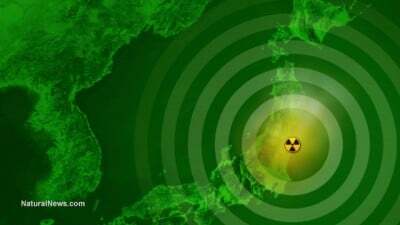 And it was an approach already firmly and institutionally in place, even on March 11, 2011 as the Fukushima disaster first struck and much of the decision-making was left to individual judgement. “We were told that evacuating poses a greater risk than radiation,” recalls Hasegawa Kenji, a farmer from Iitate, a village situated 45 kilometers from the Fukushima nuclear power plant. Featured in the Vice documentary ‘Alone In The Zone‘, Hasegawa criticizedIitate’s mayor for making what he called a terrible mistake. Even when the scientists told the mayor that Iitate was dangerous, he ignored them all. He brought in experts from around the country who preached about how safe it was here. They said we had nothing to worry about. They kept telling us that. Eventually the villagers fell for it and began to relax. And the mayor rejected the idea of evacuating even more. That’s why nobody left, even though the radiation levels were so high. Instead of taking corrective measures to protect its people, Japan has simply increased internationally recognized exposure limits. It seems that the priority – as we’ve seen in so many other industrial disasters in so many other countries – is to protect industry and limit its liability rather than to ensure the long-term health and well being of the masses. Go figure. Indeed, at a recent conferences of prefectural governors, young people in particular were urged to return to Fukushima. “If you come to live with us in Fukushima and work there, that will facilitate its post-disaster reconstruction and help you lead a meaningful life”,said Fukushima Gov. Masao Uchibori. Young people in Japan, however, appear not to be cooperating. Where evacuees are returning, the majority are senior citizens, who have less to lose from a health perspective and are more traditionally tied to the land and their ancestral burial grounds. “They want to die where they were born and not in an unfamiliar place”, said Yoshiko Aoki, an evacuee herself who now works with others, and who also spoke at the London conference. All of this impacts revenue from the inhabitants’ tax which constitutes 24.3% of all local tax sources and is collected by both prefectures and municipalities. It is levied on both individuals and corporations but with the bulk of revenue coming from individuals. Senior citizens who have retired do not contribute to income tax, so the onus is on governors and mayors to lure as many working people as possible back to their towns and regions in order to effectively finance local public services. Late last year, the Asahi Shimbun looked at tax revenues in the 42 municipalities affected by the triple 2011 disasters of earthquake, tsunami and the Fukushima meltdowns. Unsurprisingly, the areas hardest hit by radiological contamination had suffered the biggest economic blows. Those areas free from radioactive fallout could simply rebuild after the tsunami and earthquake, and had consequently recovered economically, some even to better than pre-3/11 levels. To return or not to return is the question of the hour – or it will be come March 2017, when the Abe government has announced it will revoke many evacuation orders. At that point, government compensation to evacuees would be lifted, putting them under financial pressure to return. Cue more confusion. One of those towns that could be declared ‘safe’ is Tomioka, Japan’s Pripyat, formerly home to close to 16,000 people but now uninhabited. Once you enter a radiation controlled area, you aren’t supposed to drink water, let alone eat anything. The idea that somebody”, he pauses, ” … is living in a place like that is unimaginable.